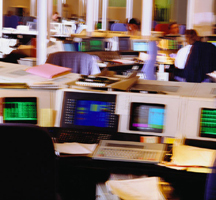 SVLG represents financial institutions and other lenders; real estate developers and other business borrowers and guarantors; investors acquiring or disposing of assets through insolvency proceedings; government agencies in public finance transactions; commercial landlords and tenants in bankruptcy and insolvency proceedings; officers, directors and employees in recovering their severance compensation and stock options; sellers of businesses in recovering the sums owned by the purchasers; creditors in defending preference litigation; equipment lessors; venders, brokers, receivers, trustees, licensors and licensees of intellectual property; health care providers; and creditors' committees. Loan Structuring & Documentation – We work with credit professionals to structure loan transactions. We offer a unique focus on the structure and documentation of loans to technology companies. We assist financial institutions in preparing credit agreements, promissory notes, security instruments, guaranties and other complex credit facilities. We negotiate and draft inter-creditor agreements for syndicated and participation loans. Our practice includes the perfection of security interests in intellectual property and other non-traditional collateral. Litigation & Alternative Dispute Resolution – We represent creditors in state and federal district throughout California, and in bankruptcy courts in California, Delaware and other states. We engage in ADR as appropriate to resolve disputes. Creditor Remedies & Workouts – We advise creditors in enforcing their remedies, both in court and with non-judicial actions. We have successfully restructured a wide variety of commercial, high technology and real estate loans, including loan workouts, deeds in lieu of foreclosure, forbearance agreements and other negotiated solutions. We are especially familiar with California's one-action and anti-deficiency laws, having secured creditors and lessors concerning public and private sales of personal property collateral, collection of borrowers' accounts receivable, and the exercise of other rights under the Uniform Commercial Code. Information Technology Legal Services for Financial Institutions -- Our firm assists financial institutions and FinTech companies with information technology-related services. We advise clients on data security measures required by the Gramm-Leach-Bliley Act and state breach notification and information security laws. Our work includes writing and editing sophisticated information security policies, procedures, standards, guidance, and training materials. We work with clients refining their privacy policies and practices, including for the purpose of supporting European Union General Data Protection Regulation compliance programs. We help companies self-certify under the Privacy Shield programs for importing personal data from the European Union or Switzerland to the United States. In more technical areas, we advice financial institutions and FinTech companies on legal issues arising from artificial intelligence, machine learning, Big Data, and the Internet of Things. We support policies and procedures for operating or procuring digital certificates used in a public key infrastructure. Very few banking and financial services attorneys have a deep understanding of information technology. Right now, financial institutions are undertaking pilots and new projects for machine-to-machine communications, interacting with customers using intelligent virtual assistants and chatbots, blockchain applications, detecting fraud in online and in-person banking transactions, operational automation and error correction, and facilitating investment strategies. Our attorneys provide expertise in these areas of advanced information technology that more general banking law firm practices don't touch. We can help your financial institution procure products and services from vendors, comply with data protection requirements, investigate incidents, defend you in litigation, or help you develop a governance program of policies and procedures to guide operations and manage legal risk. If you would like to explore how our law firm can help your business, please complete the web form on this page or call us at the number at the top of the page. One of our lawyers will gladly discuss your situation and needs.